Alejandro Valverde (Movistar) had a difficult day on the bike at the last climb of the 19th stage of the Vuelta a España. At the middle of the climb, things were going seemingly okay for Movistar, as Nairo Quintana was part of the front group and Valverde held on in the favourites' group. 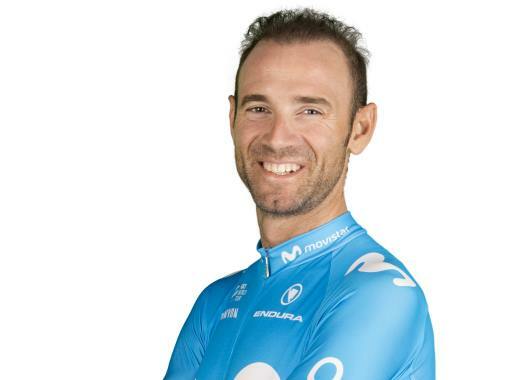 The gap with race leader Simon Yates remained at a good level but when Miguel Angel Lopez (Astana) launched an attack in the last two kilometres, Valverde was all alone and without strength to keep following them. "The rivals have been better than me, that's the truth," said the Spaniard at the end of the stage. "When (Simon) Yates attacked I stayed with (Richard) Carapaz to see if it was possible that he would close the gap. But it became very difficult for the two of us, despite the help of Nairo (Quintana), and at the end, I was feeling a bit weak." Valverde arrived to the finish line at one minute and 12 seconds from stage winner Thibaut Pinot and the advantage of Yates over him grew to one minute and 38 seconds. "Unfortunately, the body doesn't always respond the same," he explained. "It is clear that now it's more difficult to try to get that Red Jersey than it was this morning. But I won't give up."